LineageOS 15.1 is available for many Xiaomi phones, in fact for many Android devices as of now. Recently we have also covered the OFFICIAL LineageOS 15.1 rolling out for many devices including Xiaomi devices (of course), but the list is very small. This post exclusively covers LineageOS 15.1 for available Xiaomi Phones, both OFFICIAL LineageOS 15.1 and UNOFFICIAL list of supported or available devices. This page is dedicated to maintain the available LineageOS 15.1 download for all Xiaomi phones and tablets ONLY. There will be two such lists updated (as below) containing UNOFFICIAL LineageOS 15.1 and OFFICIAL LineageOS 15.1 Downloads list for available Xiaomi phones. Well, the OFFICIAL LineageOS 15.1 for Xiaomi has a very minimal list because of stringent guidelines of LineageOS team to support LineageOS 15.1 and expected to grow slowly. Just stay tuned to this post if you want the latest LineageOS 15.1 ROM for your Xiaomi phone. If you won’t find your device for LineageOS 15.1 support then you can scan through the following custom ROM lists for an available update. What if your device does not have the LineageOS 15.1 Oreo ROM in the OFFICIAL or UNOFFICIAL list? 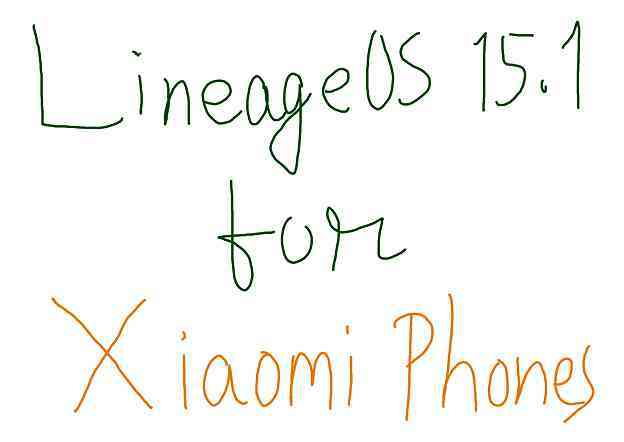 Well, it is possible that no developer has built the LineageaOS 15.1 for your Xiaomi phone or it’s just missing from our list. You can search for other Android Oreo or Nougat based ROMs list to find an Android update for your device. LineageOS 15.1 is not available for all of the Xiaomi phones and out of the available builds, we may not have added all of the Xiaomi phones in the list. If you find your device missing, then just login and place a request and I will try to search and bring it for you. Please build Lineage Os for Xiaomi Mi A2 Lite ? Can you please fix the link for: Xiaomi Mi Pad (mocha) – LineageOS 15.1 for Mi Pad. The link directs to this page. Thank you. Plzzz make Oreo ROM for Redmi Note 5a Prime/y1 (ugg). Please fix / update link for Xiaomi Mi Pad (mocha) – LineageOS 15. For now link leads to this page itself. LineageOS 15.1 for Mi 6x is added to the list. Please do one for Xiaomi Redmi Note 5A. Thank you! LineageOS 15.1 for Redmi 5 is added into the list. LineageOS 15.1 for Redmi Y1 Lite is available to download. Here is the Mi Note 3 LineageOS 15.1 update. Hi there is a chance you pull out Lineage 15,1 for Redmi 4 Prime ?